At Amazon, we work to optimize the packaging experience for our customers. This includes driving improvements in the sustainability of packaging across Amazon’s supply chain, starting with our own products and operations, and partnering with manufacturers worldwide to invent packaging that delights customers, eliminates waste, and ensures products arrive undamaged. Here are some things you may not know about how we focus on sustainability through all of our packaging efforts. Did you know that 10 years ago, Amazon introduced “Frustration-Free Packaging”? This invention reduces waste and delights customers with easy-to-open, 100% recyclable packaging. Frustration-Free Packaging ends customer “wrap rage” by removing plastic bindings, wire ties, and clamshell casings – making boxes simple to open. And it’s great for the environment because products ship in their original packaging, eliminating the need for an additional shipping box. In India, as of October 2018, 4X number of products were shipped in their own container compared to 2016, thereby reducing paper and plastic consumption. Did you know that one of the biggest challenges in e-commerce packaging is designing it to be as compact as possible while ensuring that products arrive undamaged? To address this challenge, Amazon works with manufacturers worldwide, helping them re-think and re-build their packaging, reducing waste throughout the supply chain while ensuring products are delivered to the customer intact. Did you know that Air inside the Amazon boxes has reduced by 30% across Amazon India’s fulfilment centres in 2018, with more box variation options now available? Moreover, we no longer place invoices within plastic pouches for 95% of Amazon India’s order deliveries. Today, the paper invoice is placed inside the package without any additional wrap or covering. In India, over the last and two-and-a-half years, Amazon India has seen plastic usage dropping by 13% and usage of corrugated boxes dropping by 15% for every shipment. Did you know that a new process has been developed for consolidating orders from a single customer? Fulfilment centres are now able to consolidate a customer’s orders and send them all in one package, reducing packaging yet again wherever possible. In fact, in 2017, we doubled the instances of a customer receiving a box with multiple products in it, reducing packaging. 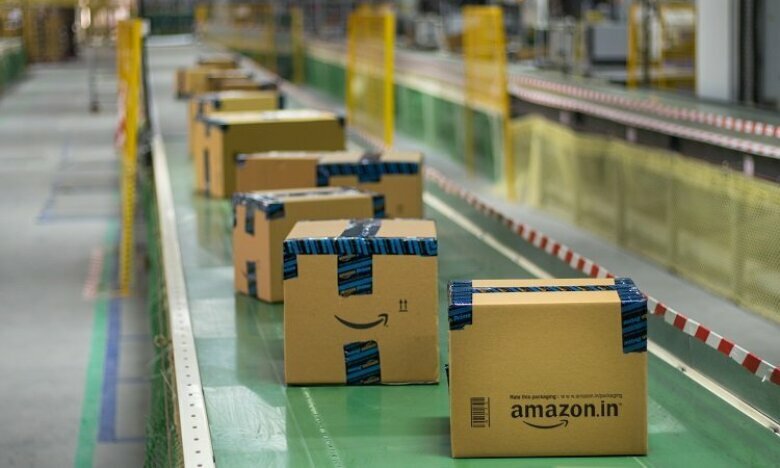 Amazon India teams are constantly listening to customers and associates to improve our packaging.“Amazon’s packaging innovations are an important focus of our work on sustainability. We are committed to this work because it’s a triple win —it’s good for business, good for the planet, and good for our customers and communities,” shares Akhil Saxena, VP, Customer Fulfilment, Amazon India.